How To Rent in Amsterdam for Expats - 11 Makelaars Landsmeer B.V.
Understanding the Amsterdam (Dutch) rental market can be time consuming for expats. But also renting in the Netherlands requires knowledge about the Dutch rantal laws and local customs. We specialize in helping expats find houses, apartments or even a houseboat! We know how to make the process as fast and comfortable as possible. Use our easy 5-step expat rental plan! Most people spend 30% of their monthly gross (before tax) pay check on rent. Most landlords prefer tenants who earn 4 times the amount of their yearly rent to meet their strict financial eligibility requirements. Sometimes a shorter rental term (f.i. a year) requires no income, but a single payment of the annual rent in advance. Try to establish a Dutch bank account before you begin your search. If not possible, talk to your bank about setting up a wire transfer. Be aware that a credit check is part of the process. Savings & the whereabouts of your funds need to be clarified, in accordance with the Dutch terrorism act. Funds to cover the broker's fee if you use an agent to act on your behalf. In Amsterdam, the Landlord pays a brokerage fee to the agent that rents the place out.. These fees are due upon signing of the lease. Funds to cover a Credit Check: euro 60 to euro 100. In most cases, 2-3 months before you plan on moving in is enough time to find a rental property and sign your lease. The Amsterdam market moves fast, you don’t want to find the perfect rental and realize you are not ready to sign your lease. 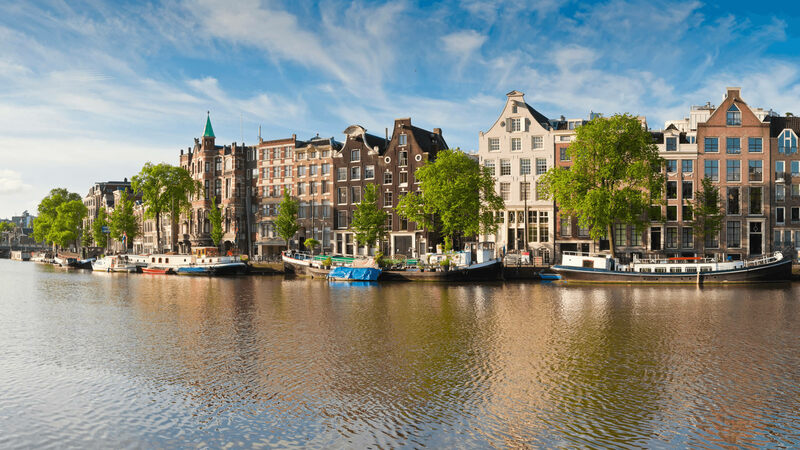 Amsterdam has a fast moving, complex real estate market. When finding an agent or broker, always look for the NVM (Dutch brokers association) and MVA (Amsterdam brokers association). 11 Makelaars has offices in Amsterdam and suburban area. Our experienced agents will help you narrow down your favourite neighbourhoods and clarify the amenities you seek in a rental. You will likely view rental buildings, mostly privately held. But also centuries old houses and houseboats are available on the market. During the friendly (and ‘gezellig’) intake (aprox. 1 hour) at our office, we will tell you all about the process of finding, visiting, negotiating and signing the lease. After the intake, we will start the search to find you a nice place to live. Our services include the visit of as many houses / apartments, required to find you that one special place. Your assigned agent will be there to accompany you every visit. He will also enter into negations with the landlord on your behalf. Not only the rental price will be negotiated, but also terms and conditions. Once you get approved, you will be asked to sign the apartment lease in our office. To sign the lease, you will need some form of personal identification, preferably a driver's license or a passport. The landlord may require advanced notice to schedule the move in or out of your personal belongings. Check-in will be done by one of our agents. Any Questions on this process or listings available? Call (+31 (0)20-2050208) or email us today.